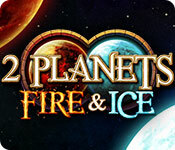 Experience what may very well be the fastest match-3 game of all time – Two Planets Ice & Fire! Approximately 140 levels with diverse objectives guarantee non-stop gaming fun! Glistening with amazing HD graphics, the game offers you the choice of two different game modes: chill out and clear levels at your own pace on the ice world or put yourself in the hot seat against the ticking clock on the fire planet. 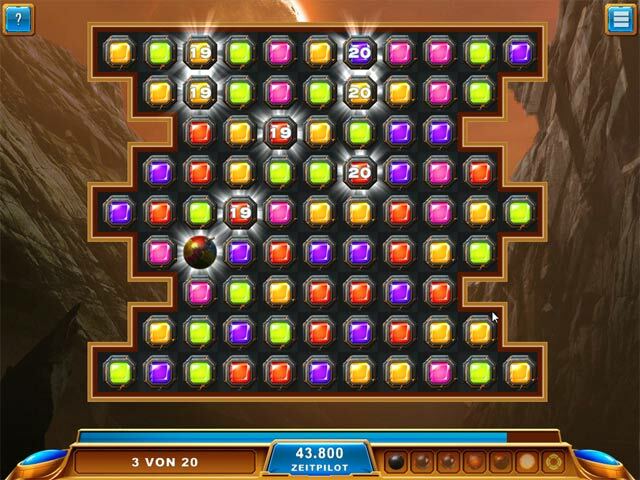 Master the exciting levels by clearing a specified color from the playing field, sending special jewels tumbling to the bottom of the board, arranging jewels in special positions or setting off as many explosions as possible – and a whole lot more! 2 Planets Fire & Ice is rated 2.6 out of 5 by 17. Rated 4 out of 5 by jakethekid from More fun after the first chapter The first chapter of this game (first six levels) are too simple and yes, as the other reviewers have noted, there are a lot of bombs. That being said, the variety of the goals and the increasing difficulty of the levels make it plain why you need so many bombs.Many of the later levels require some strategy.The goals are well explained at the beginning of each level and the speed of the game is good. If you're looking for a game like Big Kahuna Reef, this one is not for you. The boards are relatively small (not in size but in number of tiles) and it's more than just match and move on. This game is fun for those of us who want more from a Match 3 than the same old thing. I bought it before the trial was over. Rated 4 out of 5 by MmeMoxie from Liked it, overall ... But, have some issues I liked this game, but, I have only trialed it. However, I do have some issues ... Mainly, the color of the tiles. In all honesty, there could have been better color graphics, for this game, so that, you can tell the difference, between say the *gold* and the *yellow* or the *pink* and the *purple*. When the screen went into Fade Mode, it was even harder to see the color differences. Now, for younger eyes, this may or may not be a problem ... For my 70 year old eyes, this was a real issue. Overall though, I liked the concept of the game. Bombs exploding during a 3 Match Game, is not new, for today's games. 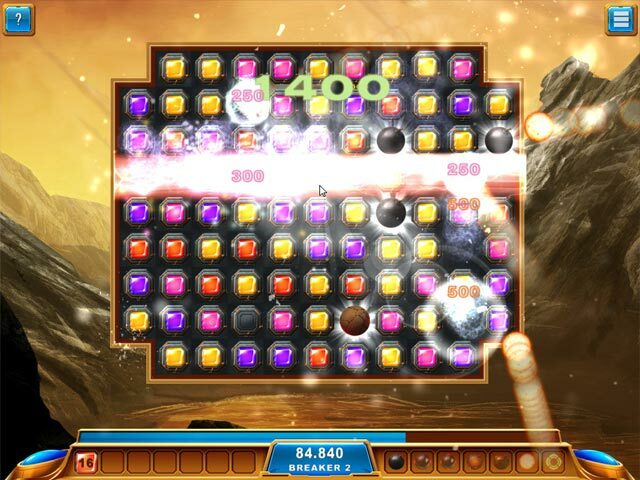 I have seen this progression, even in the master of 3 Match Games ... Bejeweled. Rated 4 out of 5 by pennmom36 from No Ordinary Match 3 Game! I must admit I forced myself to continue playing this game because for the first three levels I hated everything about it. I simply didn't get it. Then I put my puzzle solving skills to work and now, it's kind of addicting! The tiles are all the same, square, they are simply lighted tiles of different colors. You start out by choosing the Ice planet for an untimed relaxing game or the Fire planet for a fast paced timed game. Each chapter has 6 levels to complete and each level has a different challenge.On one level you may have to match a certain amount of red tiles, green tiles or yellow tiles and you have to achieve those goals in a certain amount of moves. You may have to change the color of all the tiles or have diamonds fall to the ground, every chapter has new goals within the levels and if you fail to meet the goals you can restart that level but you only need to pass 5 levels to move on to the next chapter. There are a ton of power ups to earn such as ice planets to freeze time, fire bombs, free move which doesn't count toward number of moves allowed, super bombs and even a reversal bomb which flips the board upside down for a few seconds. There is an earthquake bomb which shakes the board then removes the tiles and scrambles them before placing them, and the most annoying one is a color bomb which blacks out all the tiles ( I haven't figured this one out). There are also black tiles which cannot be moved, however, they will drop if you match below them and if they fall onto a space that needs to be cleared it can cause trouble for you. All of the power-ups earned are placed on the board for you and you will want to use them often to earn points and clear the board in time. There are also annoying parts to this game as well, When you use some of the power-ups the board becomes increasingly smaller and at times seems to jump in and out and I found this more annoying than challenging. There are game levels that require you to make matches to release blocked tiles but these tiles hardly look different, they barely have a little more of a black edge than the normal tiles, you cannot move those tiles which helps to identify them. And lastly the color bomb turns off the lights and there are just silhouetted hued tiles and I can't figure out how this is helpful? The bottom line is that this match 3 game is different and we all fear change, so give it at least an entire chapter before making your decision and hopefully my review will clarify the directions a little bit for you as well, enjoy! Rated 4 out of 5 by LA_Dzinz_UA_OH from HOT and COLD POSITIVES: 1. Can pick timed or relaxed, at the start of game 2. Brightly colored graphics on a black playing board make this game of Match 3 different- [from what I've seen before] 3. 6 different modes of play, your choice. Need to compete 5 of 6 to complete a game. 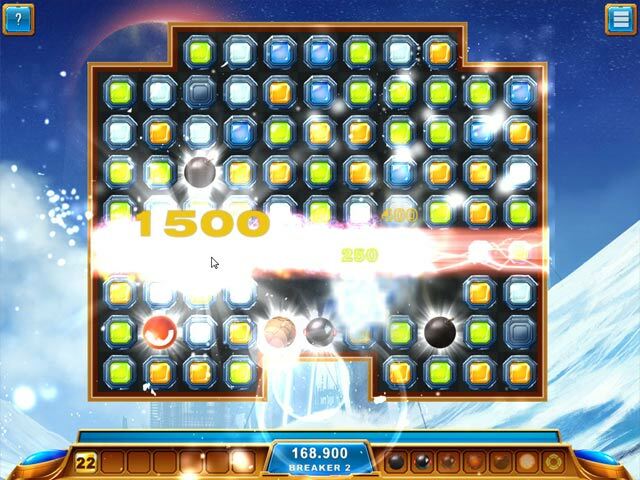 * For example, modes include Line Painter- you need to "paint" on the board by completing Match 3 lines [according to color] horizontally and vertically to clear all squares Destroyer- match 3 using one color, and destroy all squares The game chooses a color/s [shown at bottom of screen] that you must use to complete these different modes of play, sometimes using a number that needs to be reached 3. Some different Power-ups than what I've seen before, i.e. : Reverse- Quickly turns game board 180 degrees, so new gems appear from the bottom of board, and get knocked off above. The game board readjusts itself after about 15 secs. or so Earthquake- shakes board and all gems fall off, including all Power Ups Also included with the Power-ups are Fireballs and Ice-balls, which I assume is where we get the name of this game. [or maybe Timed/Relaxed-?] I won't bore [or spoil] you with details about all Power-ups, you get the drift by now, I'm sure. [and, I don't know all the details myself, yet!] NEGATIVES: *The biggest negative for me were the instructions! This coming from a person big on instructions [and IMHO I'm not too dense-lol] but Gees-Louise, they were confusing. Like mentioned above, I believe you need to pick 5 of 6 game modes, to complete one game, but I'm not even certain of that...! [sorry, lads and lasses!] Timer, that darned timer: made some levels particularly difficult to beat... I guess it's good to have to "achieve" by playing over and over and over ....oh, well, next time I play, I'll try the Relaxed Mode for those, and maybe I'll figure out some magical tip in order to beat the timer more easily. Also, Relaxed mode probably would help to learn about certain modes of play, as well as some of the Power-ups and what they can accomplish. [I'm trying to turn lemons into lemonade here, so don't expect too much of me! :) ] I do plan on using a free game coupon for the game... It's a good game, and fun. I think the fun factor will increase, by figuring out more about the modes and power-ups! I do love Match 3 games in general, and I already want to play this game far over the hour-long Demo!! Give it a whirl! Rated 3 out of 5 by bilzbub from Too many power ups ruin game play played 40 minutes, didn't get more challenging. Plays it's self. Rated 2 out of 5 by EmilyTheKat from A "NO BUY" FOR ME I am a great fan of M3 games but at 10 minutes of trial play I was bored. There were so many exploding bombs that it made it difficult to actually play any moves. I decided to give the game a fair try though and continued on. The challenge did improve but I found it frustrating that I could not place power ups where I needed them, instead they appeared randomly on the game board. The instructions were fairly straightforward but ultimately I lost interest and did not finish the trial. Rated 2 out of 5 by tailswhiskers from Not explained well game The instructions did not explain this game very well. I did not get off of the 1st level. All I did was explode bombs. I was never able to finish level one. I do not recommend this game.